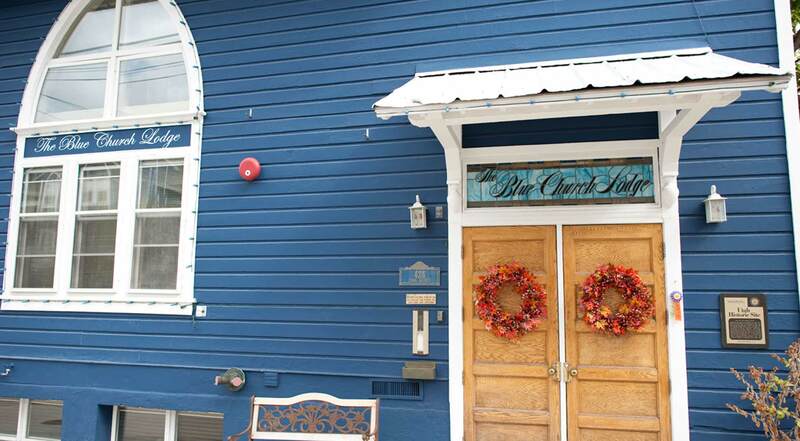 The Blue Church Lodge is an eleven suite and townhouse property nestled between the Wasatch Mountains and Park City’s Historic Main Street. Just steps away from award-winning restaurants, trendy shops, pubs, live theatre and skiing, there’s truly something for everyone. Eleven unique and charming suites and townhouses all appointed with handmade quilts or overstuffed comforters, full kitchens, travertine tile, gas and wood burning fireplaces with views of the mountains or Historic Main Street. The lodge also offers continental breakfast with each morning of your stay, an outdoor and indoor spa, cable TV, private phones, wireless internet, laundry facility, covered parking, ski lockers and daily maid service.